A Fish On The Great Seal? The use of images on the crests of families or even states and nations can sometimes be very controversial. Families, for example, can argue endlessly over which symbols to use and exactly what those symbols mean. I once saw a dolphin on the coat of arms at Dunluce Castle in northern Ireland, contacted an expert on heraldry, and learned that no one seems to know what the dolphin means. When Northern Rhodesia became a British protectorate in Africa in 1911, officials needed to establish various symbols of power, including a flag, and in time adopted one that is reproduced here. The design pictures a fish eagle that can be found on the rivers of that country. The wavy lines may represent the impressive Victoria Falls there. The eagle holds in its talons a fish which it seems to have recently caught. Amazingly, when the country in 1964 became the Republic of Zambia, officials took away the fish from its coat of arms in the belief that the fish actually symbolized the state of colonialism for the people. Other people objected to the fish as a dead object, although others noted that a video of such an eagle shows the fish wriggling and therefore was very much alive. Although the fish was gone on the coat of arms, the eagle remained. Even then, there was controversy. Some people who may have too much time on their hands argued that, once officials removed from the seal the “dead/wriggling” fish, the bird was no longer recognized as an African fish eagle and could, in fact, be a symbol of another country: the United States. And that leads me to this conclusion: Florida should have on its Great Seal a fish, either saltwater or freshwater, but some recognition of how important fish are to Floridians. 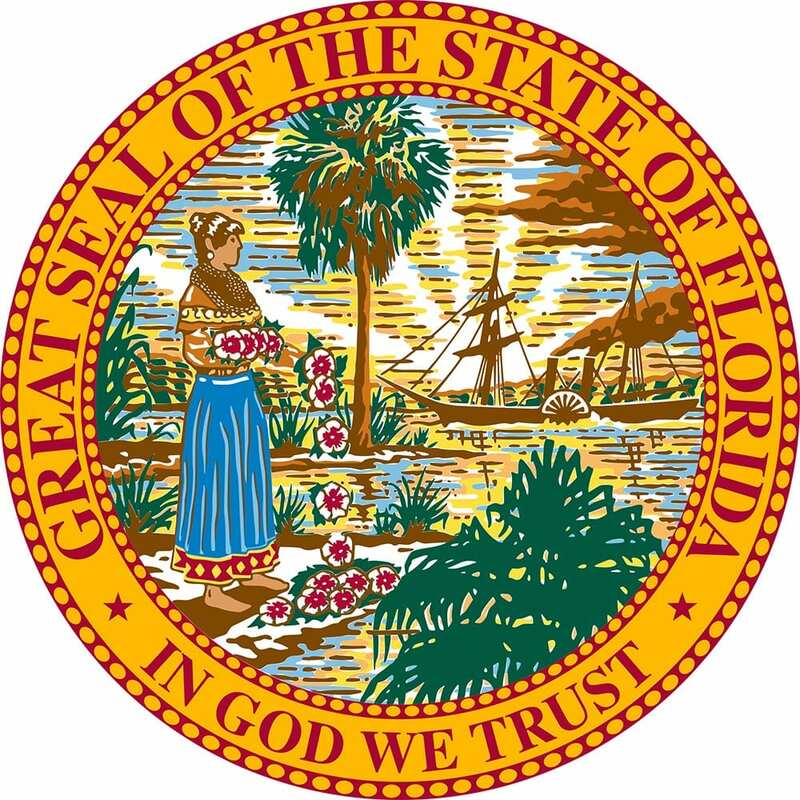 I know the Great Seal has a Seminole Indian woman (who actually replaced a Western Plains Indian wearing a feathered headdress), a steamboat, flat terrain (which replaced a mountain – something not found here), and a sabal palm (which replaced a cocoa palm as more indigenous to our state). But surely we ought to have a fish on our Great Seal. According to the website of the Florida Fish and Wildlife Conservation Commission, Florida is the “Fishing Capital of the World,” has more world-record fish catches than any other state or even country, has the most saltwater anglers in the country, and has an economic impact from fishing that leads all states. We could have a contest to help decide which fish would be most appropriate on the Great Seal. Some will argue that no one looks at the Great Seal and that it couldn’t possibly influence people deciding what to do here, but then again I think a fish would be very appropriate, symbolic and descriptive.